Disability equipment is designed to support people who need assistance in everyday life. There are many options available to choose from and each item can assist the user with mobility. With so many choices offered it could be challenging to pick the right item to service your needs. If you are reading this article then you are someone who has decided that there is more to life than just functionality. You will agree that a huge part of life should be for living out your dreams and passions. It does not matter if your wishes are small or large scale as there are resources available for everyone. There is support and disability equipment available to help you take care of day-to-day tasks so that you can focus on what is important to you. There are also resources available that can help you achieve your dreams and passions. Before you purchase any equipment you should take a moment for yourself so you can think about what really makes you happy. You know what makes your heart sing. It might be spending time with people you love or being creative or learning new skills. You might be someone who loves to travel or there might be a particular sport that you really enjoy. Take some time to tap into your inner self and ascertain the passion within. Disability equipment can help you live a full and happy life, especially when you purchase items that meet requirements you have set. When you are clear about what makes you really happy you can decide on what you want to achieve. Do you want to travel to visit family or friends? Maybe you want to learn to cook or take up art classes? Perhaps you want to go to university or take up a new sport? Choose your goal and make it your focus. It is important that aspirations are set so that they form the basis of your requirements when shopping for disability equipment. All great people need a support team. Nobody unleashes his or her potential without calling upon resources and advice. Every prominent leader, renowned artist or phenomenal sports person that ever lived had help. Other people, resources or specialized equipment, assisted them all in some way. The best way to make sure that the disability equipment you plan to purchase assists you in meeting your objectives is to ask the experts for help. Creative Living’s objective is to help disabled people enrich their lives. Our beliefs stem from our own personal experiences. Please call us for a chat or send us an email. We would love to hear about your aspirations and offer our support. Once you have established your goals you will most likely identify some areas in your home, work or places that you visit that need changing. A few simple modifications could make a huge difference towards helping you achieve your dreams. Making your home fully accessible and disability friendly is a great place to start. This will make traveling between rooms much easier and reduce the amount of time spent moving from one room to another. With you in mind Creative Living can help you review the environments that you live, work and play in. 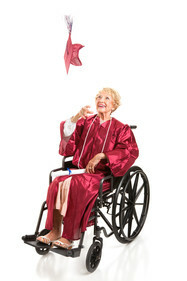 We can then assist you in selecting disability equipment that will really meet your needs. It is so important that the equipment you buy provides you with the freedom, privacy, independence and choices you want in your life.